Bruce Lee was a revolutionary. He revolutionized the martial arts world, and the way martial arts were portrayed in film. He overturned our stereotype of the Asian male and brought an appreciation of the martial arts to a mainstream audience. His approach to the martial arts, and to life, influenced many people in other disciplines as well. He also had a major influence on my life. The first time I saw him, on a stage at a summer street fair in Seattle’s Chinatown in 1961, I was sixteen. I met him soon after that, and was privileged to get to know him well for the last decade of his life. He was four years older than I was — still 20. Close enough in age to be a friend, yet older enough to be a teacher (sifu) and, in many ways, like an older brother. Over those years, including a summer spent with him and his family in Hong Kong, I learned from him not only martial arts, but also many valuable life lessons that stuck with me and served me many times in good stead. By the time of his death his name had become widely known not only across the greater Chinese community but beyond, and his influence continued to grow and ripple out into other realms, across the entire planet. He had the huge impact he did not just because he was a genius and a physical prodigy. His physical attributes are well-known, including phenomenal speed and coordination, and exceptional strength for his size. Those attributes drew others to him, myself included. But he also possessed a formidable array of other qualities that were equally important: determination, self-discipline, persistence to the point of being a perfectionist, self-confidence, open-mindedness to new ideas and people, a willingness to share, a flair for showmanship, a subtle sense of humor that could be self-deprecating, a personal character that combined loyalty, a sense of dignity, and a respect for others. Because he sometimes seemed larger than life, his subtlety and complexity could be overlooked. Some of his positive attributes at times verged on excess, the yang threatening to become yin. His self-confidence could come across as arrogance, his single-mindedness as self-absorption. But he was constantly assessing, taking stock, tinkering, not just with his martial arts but with his own character. In the end, he boiled off the strains that held him back, honing his arsenal of attributes to their maximum effect. Bruce’s father was a well-known Cantonese opera and movie star. In 1940, the Year of the Dragon, he toured a number of Chinatowns in the United States. Bruce was born during the tour, in San Francisco. The family returned to Hong Kong when he was less than a year old. He grew up there during the Second World War and thereafter when it reverted from Japanese occupation back to being a British colony. Both periods left an imprint on his character. Although he was a child movie star, he also got in scrapes on the streets and with the law. Having a hard time with his rebellious ways, his parents eventually packed him off to the States in 1959 at the age of eighteen. He boarded an ocean liner with a hundred dollars in his pocket and a couple of weeks later landed in the city where he was born. After a few months in the Bay Area, he moved up to Seattle. I first met him two years later, when he was just beginning to forge his way as a young man. In his family’s words, when Bruce left Hong Kong for the States at the age of eighteen he was a “good to above average” martial artist, and when he returned four years later he manifested a “very special talent that is rarely found on this earth.” When I first met him he was a work in progress, and he was still evolving the last time I saw him a year before he died. In the letters that follow, I hope to share the Bruce I knew, to let you see the qualities that made him the person he was, that made him so special not only to the people whose lives he touched directly, but to those around the world for whom he became an inspiration. Many thanks to Doug for allowing us to share this first letter with our community. Doug has kindly offered to donate all proceeds from your subscription to his letter series, to BLF, to continue Bruce’s legacy for millions to discover. 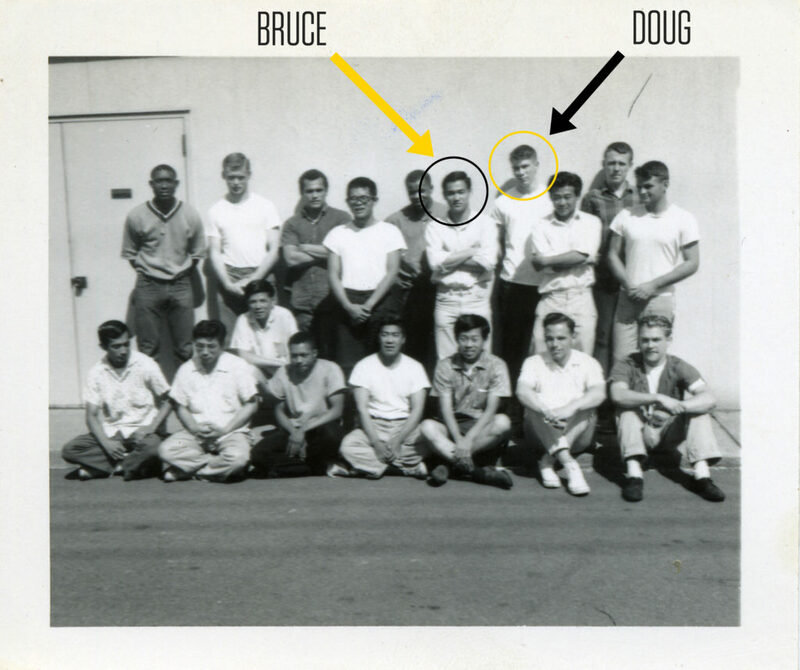 Subscribe to “Bruce Lee: Sifu, Friend and Big Brother” here.